Angus beef cattle were under the genomic microscope at the Angus Australia Regional Forum held last week in Bunbury. 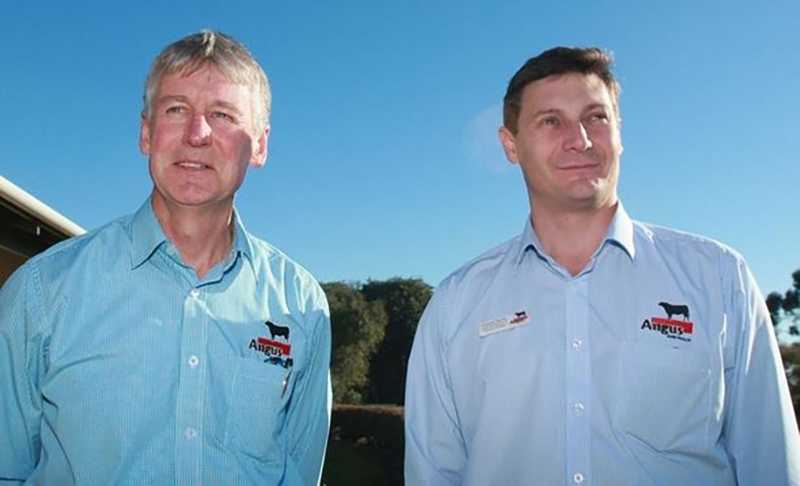 The forum, titled Genomics in a Modern Angus Beef Business, was presented by Angus Australia chief executive Peter Parnell and breed development manager Andrew Byrne — both excited about the future vision of genomics research and its related production parameters. On hand to take notes were a group of 30 WA Angus breeders and industry representatives. “With ongoing collaboration, Angus beef cattle will continue to lead the Australian beef industry in the application of genomics,” Dr Parnell said. “Angus is at the forefront. Mr Byrne described genomics as a term to describe a range of DNA-based technologies concerned with the structure, function, evolution and mapping of genomes (the complete set of genes present in an organism). “Simply, DNA contains the genetic blueprint,” he said. Mr Byrne said presently the use of genomics in an Angus beef enterprise includes parentage verification, management of genetic conditions, the improvement of production and qualitative traits and supply chain traceability and verification. “The incorporation of genomic information in the calculation of estimated breeding values (EBVs) will result in more accurate selection decisions, particularly if the animal is young and for difficult to measure traits. “Other uses of genomics are the management of qualitative traits including the animal’s coat colour and myostatin (double muscling). Mr Byrne said the considerations for gene testing include making a choice from the four available testing packages, deciding to choose high or low density tests, choosing which traits to test and the corresponding price options. Mr Parnell said in the future, there would be lower costs associated with DNA testing. “Further research and development is required to better use genomic information particularly in variants linked to embryonic lethal defects in estimation of fertility EBVs. Improved use of genomics data in calculation of EBVs will require a comprehensive and accurate SNP (gene marker) data base. Dr Parnell said it was important that producers took part in the genomics process by collecting and storing DNA samples. “Producers should continue to performance record and select on EBVs with a balanced, multi-trait selection.